The town was built to resemble a pre-40’s era slice of Americana with garages placed behind homes, plenty of classical architecture and everything within walking distance for residents. Lots of people who live in Celebration prefer to walk or bike when getting around, but many also use their Neighborhood Electric Vehicles. Celebration is not far from Downtown Orlando and only five miles south of Walt Disney World. It only takes about 30 minutes to get into downtown on I-4 and just 20 minutes to Orlando International Airport. 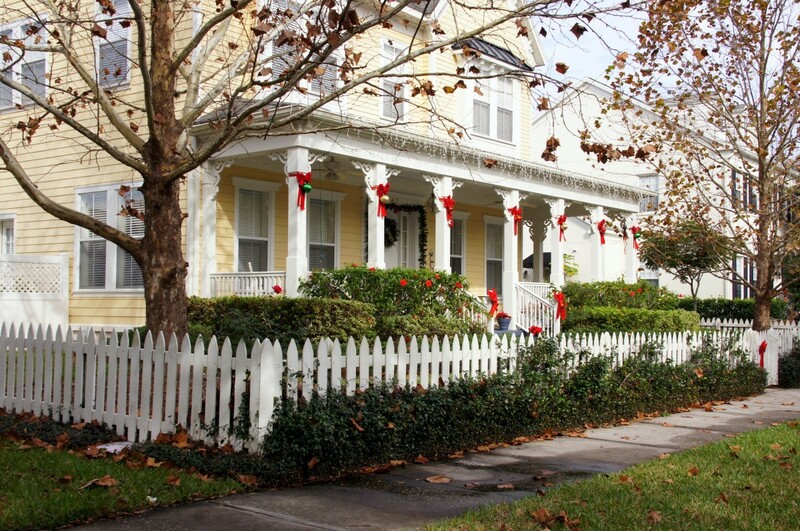 The population of Celebration, FL is fairly small but has grown rapidly in its comparatively short history. There are plenty of great shopping experiences awaiting visitors and residents at the Celebration Town Center— including their renowned diamond boutique. Newcomers to the area should consider taking a leisurely stroll down Market Street at the heart of Downtown Celebration. Columbia Restaurant – The original was established in Tampa Bay more than a century ago, but Celebration’s Columbia is an experience to be had if you’re into fine Spanish/Cuban cuisine. Celebration Town Tavern – This is a great place to eat if you want good seafood in a relaxed family-friendly atmosphere. Cafe D’Antonio – This Italian restaurant offers an elegant dining experience complete with lakeside views. There are also plenty of things to do in Celebration if you’re out on the town with a date or with friends. Bring some more romance to the evening by hopping on a pleasant carriage ride down Front Street. Rides are offered all weekend long from 6 to 10 pm. There are also plenty of fun events held throughout the year at the Celebration Town Center. Great American Pie Festival – Pie fans will want to clear their schedule for this event sponsored by the American Pie Council (yes that is real). Visitors get to enjoy the Never-Ending Pie Buffet that includes ice cream and incredible toppings. There’s also an excellent pie-eating contest. Oktoberfest – You don’t have to travel all the way to Munich in order to enjoy this classic beer festival next October. Celebration’s Oktoberfest includes hayrides, live music and dancing, plus plenty of excellent beers. Art Festival – This pleasant community becomes inundated with art aficionados each Spring for the Celebration Art Festival. Contestants can enter their own pieces for cash prizes, and collectors have a veritable bevy of artistic creations available for purchase. Communities like Winter Park and Celebration have become real favorites for families who are looking for a home in Central Florida. It has well-planned residential communities and landscaping while also being very close to the city of Orlando. If you’re a current resident looking to sell your home for cash, then we can help you get started now.